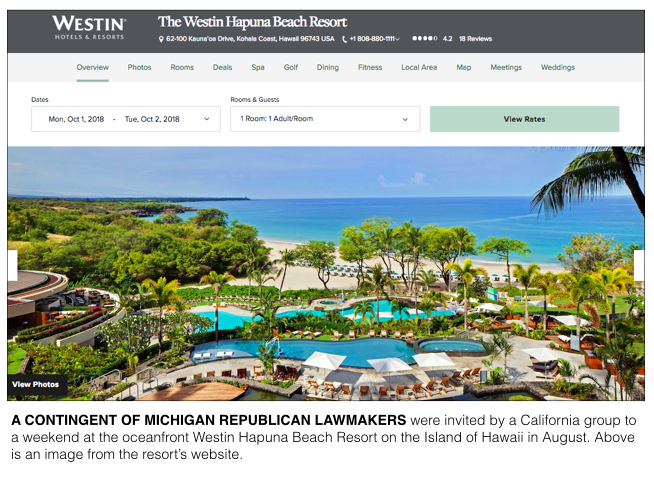 A California group sponsored trips to Puerto Rico and Hawaii. 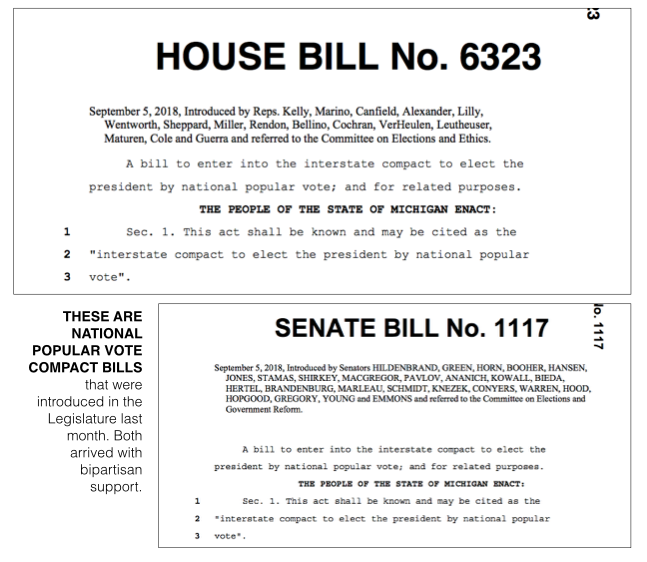 Weeks later came GOP bills that would change how the state awards presidential votes. 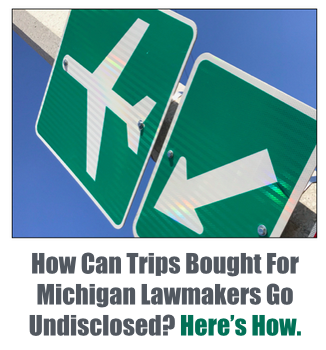 Lawmakers did not have to disclose the travel. 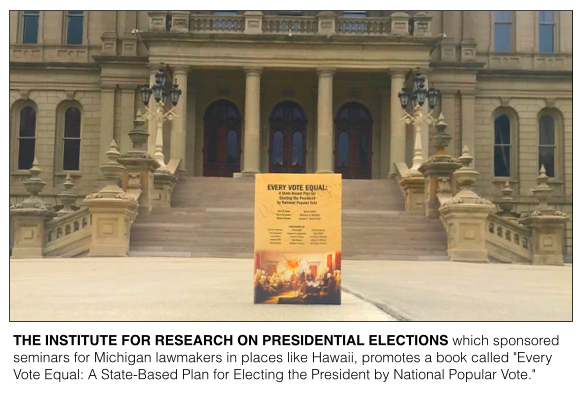 The institute is listed as a charity that works to “educate the public regarding its proposal to implement a national popular vote election of the president,” according to its 2016 federal tax filing. Asked about the rule, Ray Haynes, president and CEO of the group, said while the seminars are not secret the rule is meant to allow for free and open discussion at the meetings without fear those conversations will become public. The first is former Michigan Republican Party Chairman Saul Anuzis, listed in 2016 as an Institute vice president. The group reported paying Anuzis $120,000 in its tax filing that year. The National Popular Vote, meanwhile, reported paying $120,000 to Coast to Coast Strategies, an Anuzis-connected firm, on its 2016 tax filing. 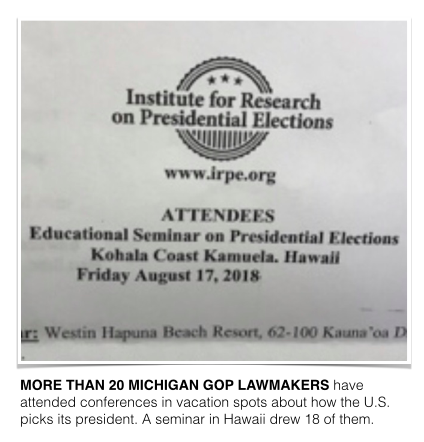 A similar thought also crossed the mind of Rep. Gary Glenn, a conservative House member from Williams Township, who said he didn’t attend the seminars. He called it a “blunder” for Republicans to take up the national popular vote bills in the months before an election. He suggested the bills could anger the Republican Party’s base. — Scott Hummel, policy office director for House GOP leadership. An 11th person on the list, Kelly, confirmed to the Detroit Free Press he attended the seminar. Multiple sources also confirmed that Rep. Jim Lilly, of Park Township, attended; he declined comment for this report.